We strongly believe that our roadside assistance service in Minnesota is the best. At Allinone Towing, we provide assistance in matters concerning breakdowns or accidents: cars, motorcycles and the like. If your car is involved in a particular accident, or is broken down, allowing our team of employees to solve your issue is a good idea. Our employees make it sure that you reach your destination. They will transport your vehicle to a given destination. So, call Allinone Towing today to feel comfortable again with your car! With our tow trucks that are fully-equipped, you can be rest assured of the best roadside assistance service possible. In all things, we prioritize safety of our valued customers. That way, you will be able to get back on the road. The pricing will vary from one service to another. The conditions we consider include work time, weather conditions and location. We always beat or meet the competitor rates for maintaining excellence. There are times that your car will not start. This is normal but it still causes inconvenience. The good thing is that our roadside assistance service in Minnesota includes jumpstart service. We understand and feel your pain. That is why we act the human way possible to bring you comfort. Our professional drivers will get back to you fast for a jump start service. There is no need to throw a used battery and buy another one. At Allinone Towing, our tow truck professional will check the issue first other than the battery. We will start fixing your car for your ease and convenience. Getting locked out of your car is frustrating. However, keep in mind that it is not the end of the world. You can get some help from our company. Our expert team delivers lockout assistance service at a very affordable cost. We promise to assist you retrieve your key so that you can go on driving. Just call us to offer you some more tips when you are locked out of your car. If you have issues with flat tires, or jump starts, you know where exactly to turn to. With the service options we offer, you will choose what works well for you. 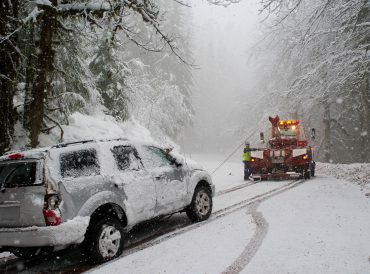 We manage to offer roadside assistance service in Minnesota that will benefit you a lot. You will be guaranteed of our fast and on-time guaranteed service! 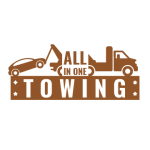 At Allinone Towing, we can always be here for you whenever and wherever you need us!